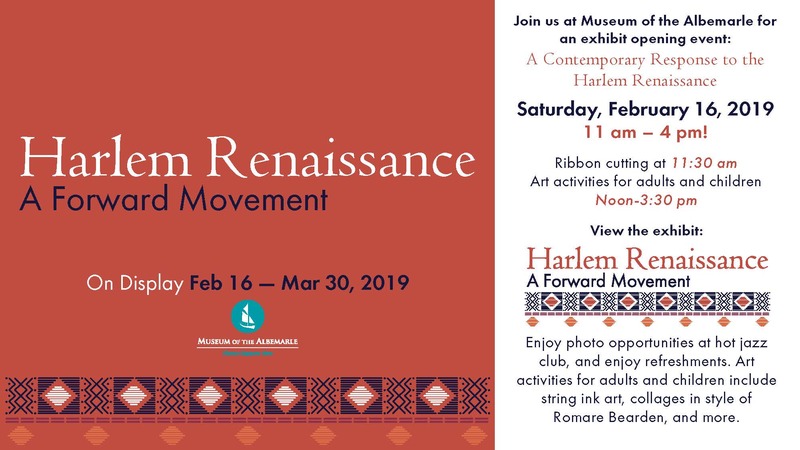 Join the museum and our co-host, Elizabeth City State University Foundation, on Saturday, February 16, 2019, for the public opening of our newest exhibit Harlem Renaissance: A Forward Movement. The ribbon cutting will begin at 11:30 am, where visitors can view the exhibit, try on hats and accessories of the 1920s style, and enjoy light refreshments. Adults and children may participate in creative activities, as well as enjoy photo opportunities.